Founded in 2012, by experts with decades of experience, Intelent’s vision is to deliver business value to its clients trough adaptable and scalable solutions that include people, processes, and technologies. We bring focus, expertise, and passion to every client and to everything we do. 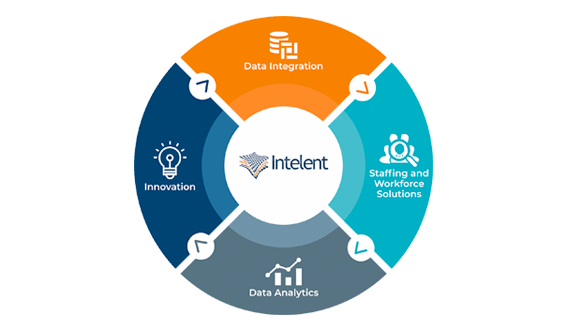 A subsidiary of TAKE Solutions Ltd, a global business technology solutions provider, Intelent embraces a culture of collaboration to produce measurable results, whether it is through robust data integration and the development of an analytics platform or through workforce solutions and staffing or IT consulting support.